Berwick-upon-Tweed Town Council manages the allotments at Five Arches Recreation Ground, Blakewell Gardens and adjacent to the former Kelso railway line. From July 2012 the Council will also be responsible for the Lion Allotments. The Lion Allotments are run on a self-managed basis by an Allotment Committee. 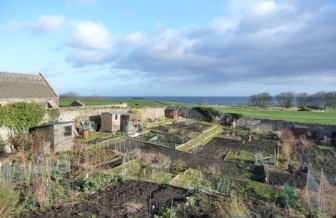 The allotments at Five Arches, Blakewell Gardens, Kelso railway line and St Bartholomew’s Crescent are managed by Berwick-upon-Tweed Town Council. There is a waiting list, but any resident of Berwick, Spittal or Tweedmouth who wishes to apply for an allotment should contact the Town Council (forms can be downloaded here). There is an annual charge levied for the use of an allotment.